Green Valley became the first master-planned community in Southern Nevada when it was founded in 1978. This upscale neighborhood of Henderson also includes Green Valley Ranch. Located minutes away from the Las Vegas Strip, homes for sale Green Valley Henderson, NV is an affluent community often praised for its quiet atmosphere that attracts those who want to enjoy a quality lifestyle with everything nearby. Part of Henderson real estate, Green Valley is a home to some of the most beautiful Las Vegas mansions and luxury homes in the entire valley. Residents of Green Valley enjoy an easy access to Interstate-215, Interstate-515, McCarran International Airport, and all of the amenities that The City of Henderson has to offer. As part of The City of Henderson, Green Valley is traversed by numerous biking and walking trails. Although it is located in the middle of the desert, Green Valley is known for its lush vegetation. The area is peppered with green lawns and many of its streets are lined with trees consisting of an array of beautiful colors. Green Valley’s parks offer plenty of room for picnicking, jogging, biking and other recreational activities. Green Valley Park, Discovery Park, Silver Springs Park, Fox Ridge Park are just a few of the parks located in the area. Green Valley offers numerous opportunities for an active lifestyle. Some of the most popular fitness centers are Las Vegas Athletic Club-Green Valley, Life Time Athletic Green Valley, 24 Hour Fitness, UFC Gym Green Valley, My Gym Children’s Fitness Center, Raw Fitness Henderson-Green Valley, and FSY Fitness. The area also has several facilities for gymnastics, yoga, and pilates. The District At Green Valley Ranch is the area’s main destination for shopping and dining. It also hosts a weekly Farmer’s Market, and events throughout the year such as free outdoor movies, and live concerts. 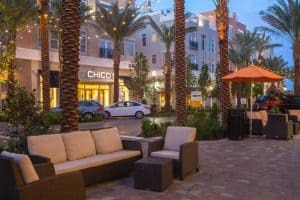 Galleria at Sunset is another popular venue for shopping located on the eastern edge of the community. The eponymous Green Valley Ranch is an upscale casino that boasts 8 restaurants, convention rooms, cinemas, and spa. It is popular with locals and visitors alike. Green Valley’s high schools are one of the most sought-after in an entire Las Vegas Valley. Green Valley High School is the main high school that serves residents of Green Valley. The area also has a number of elementary schools and middle schools including John Vanderburg Elementary, Neil C. Twitchell Elementary, and Bob Miller Middle School. Below you’ll find all homes available in Green Valley sorted by price. You can also click on the tabs to see the homes currently under contract or recently sold.